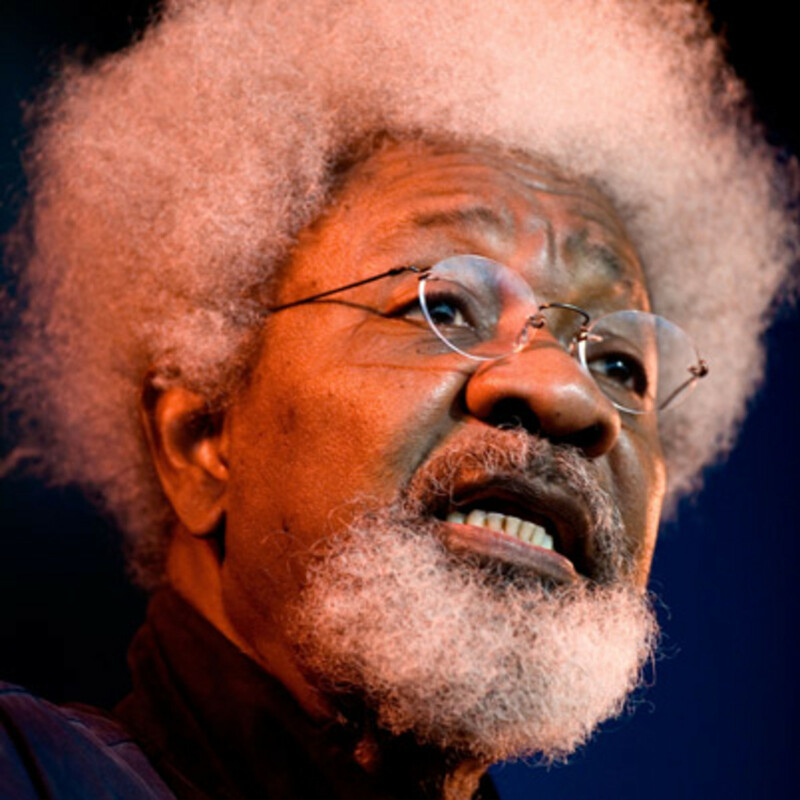 My first column this year is a reflection on Professor Wole Soyinka’s language use in his December 30, 2017 article titled, “Blame Passing, Social Media Automated Mumus – The New Year Gift To A Nation.” In the article, Soyinka translated a Yoruba proverb as follows: "Some voices alerted the k-legged porter to the dangerous tilt of the load on his head. His response was- Thank you, but the problem actually resides in the legs". If Soyinka had intended for his article to be read by native English speakers, he would have rendered “K-legged porter” as “knock-kneed porter.” But I can bet my bottom dollar that 90 percent of Nigerians have no clue what “knock-knee” means. I'm delighted that someone of Soyinka’s stature has chosen to use this uniquely Nigerian, but supremely evocative, expression in an article. That’s how to internationalize the distinctive expressive repertoires that define our everyday dialogic encounters. In my more than one decade of writing about Nigerian English usage, I’ve noticed that many Nigerian English users instinctively refrain from using expressions I’ve identified as peculiarly Nigerian. This isn’t necessary. To imagine that, as a Nigerian who grew up in Nigeria, you can speak or write English that doesn’t reflect and inflect a Nigerian flavor is akin to assuming that you can have a place without a climate. That’s an existential impossibility. In addition to “flashing” (intentional missed calls, about which I wrote several columns), “K-leg” is my Nigerian English candidate for inclusion in prestigious, well-established global dictionaries like Oxford English Dictionary, Merriam-Webster's Collegiate Dictionary, Chambers Dictionary, Longman Lexicon of Contemporary English, etc. Upon reflection, I think it is entirely possible that the expression was formed on the model of “bowleg” (adjective: “bow-legged”), the colloquial term, in all native English varieties, to denote the deformity in which legs curve outward at the knees. Since the name deploys the imagery of the bow to lend vividness to the condition, Nigerian English speakers also invoked the imagery of the alphabetic character “K” to denote the inward bend of the thigh. I find this to be admirable lexical inventiveness worthy of formal recognition in English lexical pantheons. I solicited my readers for suggestions on the word of the year for 2017. I received a fair amount of suggestions from several of you. Thank you! I have settled on the word “necrocracy” as my word of the year for 2017. It means government by dead people, which President Buhari’s appointment of at least 10 dead people (and counting) into governing boards of government agencies exemplifies. On December 28, 2016, President Buhari grieved over the death of Senator Francis Okpozo of Delta State through a formal press release signed by his Special Adviser on Media and Publicity. “The President hopes that all who mourn Senator Okpozo will carry forward his legacy of unwavering dedication to the unity of Nigeria, even as the nation would fondly remember his contributions to peace, development and justice in the Niger Delta. President Buhari prays that God Almighty will comfort the family of the late senator and grant the soul of the departed eternal rest,” the statement read. Then, a year later, on December 30, 2017, the president appointed the man whose soul he prayed to be granted “eternal rest” chairman of the Nigerian Press Council. Dead people can’t have any rest, much less an eternal one, if they are called upon to be part of governance from the great beyond. The late Okpozo is one of at least 10 dead people the Buhari government has appointed to governing boards of government agencies. Since governing boards of government agencies are the engines of government, Buhari can be said to have inaugurated an era of necrocracy in Nigeria. The word is formed from two Greek roots: “necro” and “cracy.” In Greek, necro is a prefix that denotes death. Examples of derivatives from the prefix include necrophilia/necrophilism/necromania (which means sexual attraction to dead bodies), necromancy (the occult art that claims to bring the dead back to life), necrolatory (worship or undue veneration of the dead), necrology (an obituary or a list of people who died recently), etc. 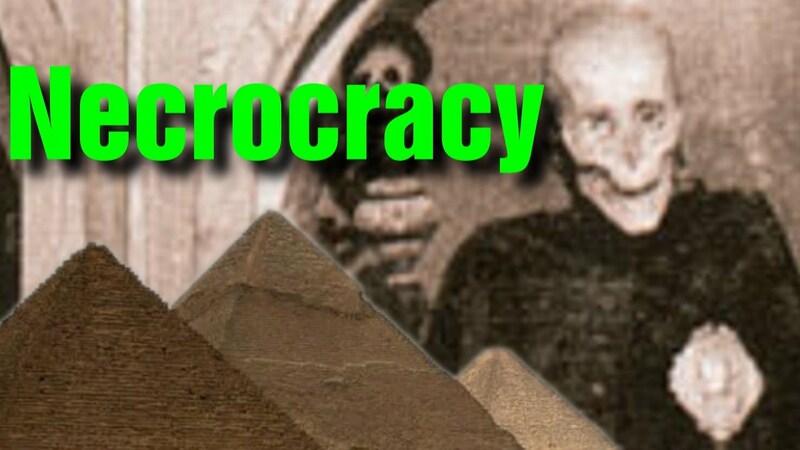 Of course, most people know that “cracy” is a Greek suffix for power or rule or form of government. The synonym for necrocracy is thanatocracy. People who have read my November 1, 2015 column titled “El-Rufai’s Kufena Hills and Metaphors Of Death in Nigerian Public Discourse” and my September 23, 2017 column titled “El-Rufai’s Morbid Fixation with Death of His Political Opponents” would be familiar with the word “Thanatos.” In the 2015 column, I wrote: “Thanatos is the ancient Greek god of death, so ‘thanatological’ is an adjective for anything concerned with death.” Since “cracy” is the Greek suffix for form of government, thanatocracy means government by the dead. Before Buhari formally signed Nigeria up for necrocracy or thanatocracy, this system of government used to be associated chiefly with North Korea whose dead leader, Kim Il-sung, is officially recognized as the “Eternal Leader” of the country. Nigeria’s thanatocracy isn’t by way of its leader (although Buhari is on the way to achieving this status in the Muslim North); it’s because the current government is so dead incompetent that it appoints dead people, including those whose death it officially grieved over in newspapers, to head government agencies while it works day and night to cause the death of its living citizens through its insensitive, reverse Robin Hoodist policies. In addition, a government that took six months to appoint the most underwhelming cast of characters as ministers in Nigeria’s history is as good as dead. A government which unprecedentedly took nearly three years to appoint members of the government boards of government agencies (some of whom are literally dead), which halted governance for than half of the life of the administration, is decidedly a necrocracy. I can think of no better word that defined the essence of the Buhari administration and its governmental system than necrocracy or thanatocracy.